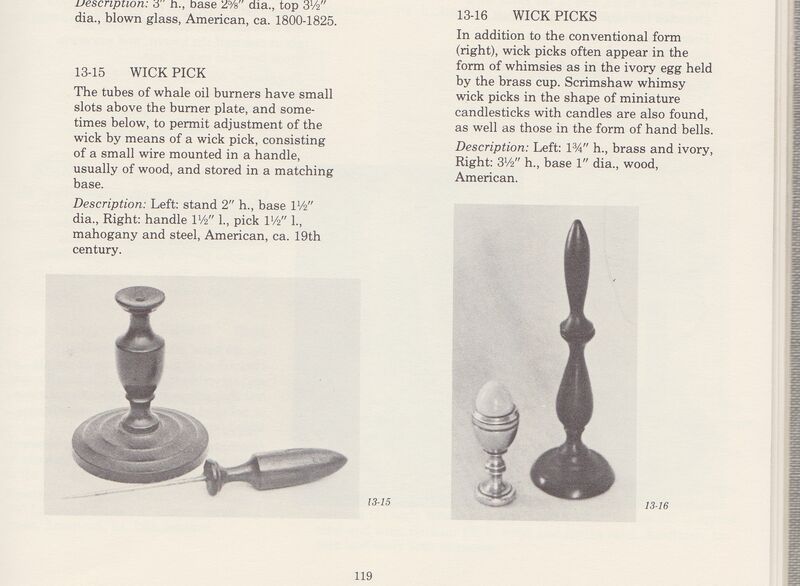 "The tubes of whale oil burners have small slots above the burner plate, and sometimes below, to permit adjustment of the wick by means of a wick pick. 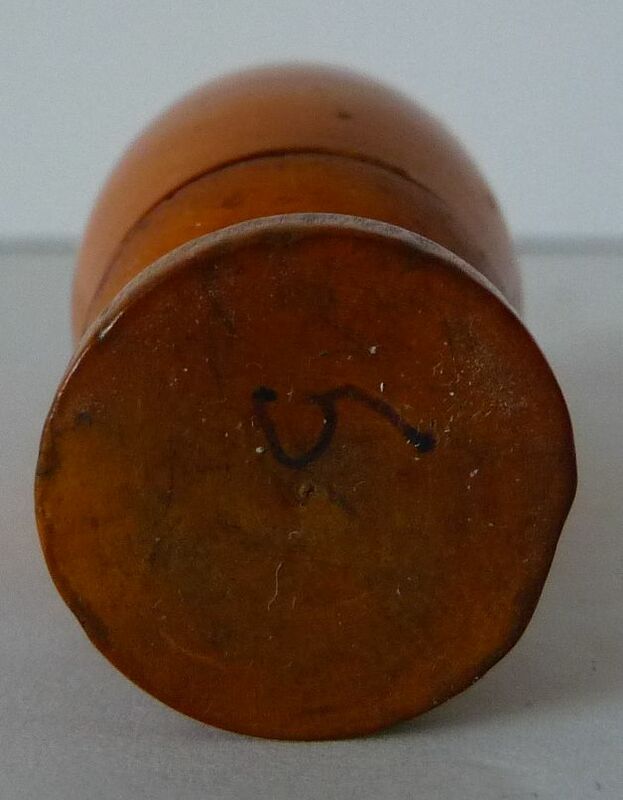 It consists of a small wire mounted in a handle, usually wood, and stored in a matching base." Wick picks were also used to pick charred bits from wicks, and to pick-up drooping wicks; facilitating a bright flame for increased light. 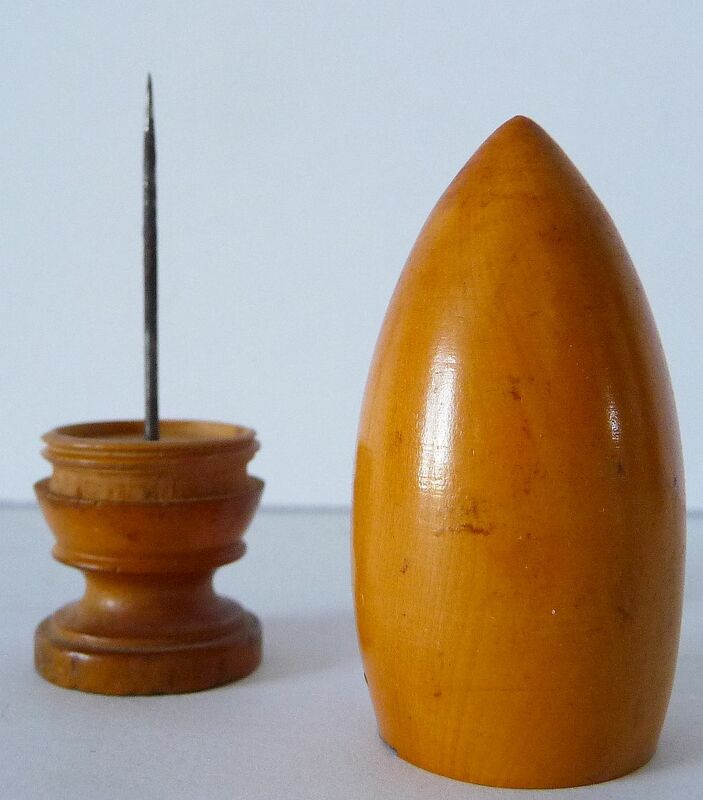 In two sections: the top lifts off from the turned base and has a steel wick pick set into it. 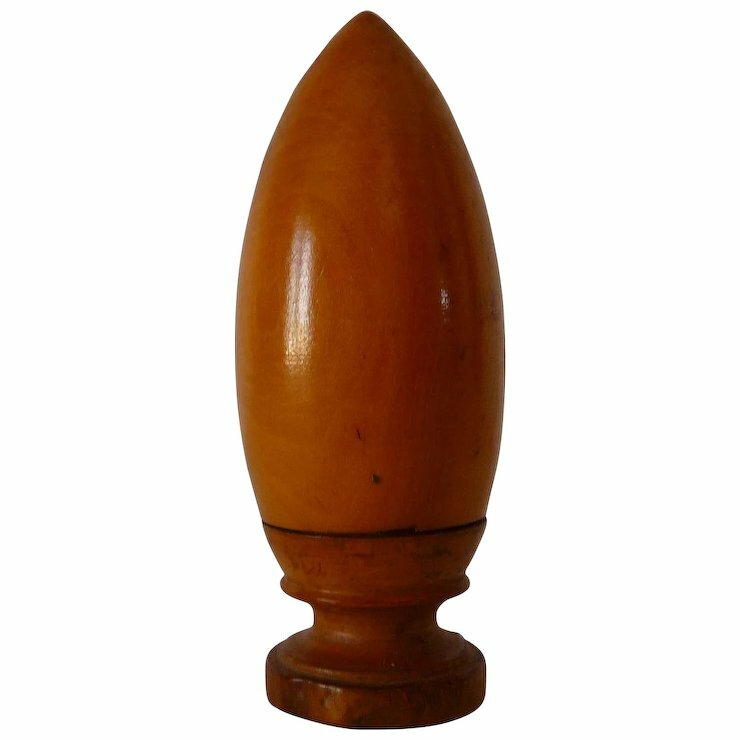 Approximate Dimensions: Height 2 1\2" Diameter of base 3/4".